Move over, Steam. 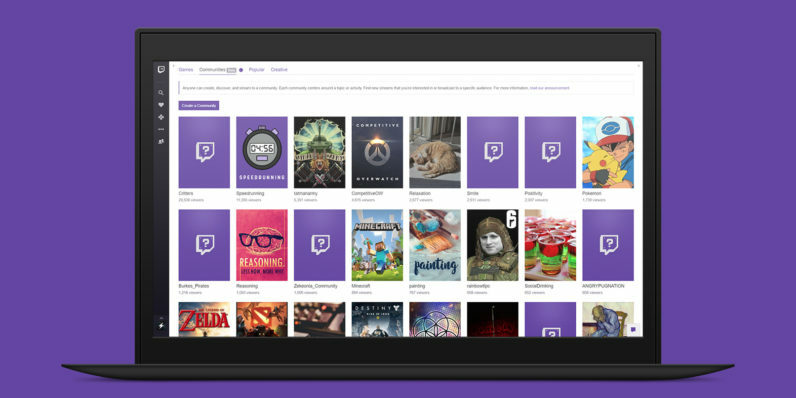 Soon you’ll be able to buy your games directly from Twitch. Twitch today announced a new service called Twitch Games Commerce, which allows you to purchase games from Twitch, vis-à-vis Amazon. If a partnered streamer is playing a game available through Twitch, a ‘Buy Now’ button on their channel leads directly to the game’s store page. Developers keep 70-percent of the revenue, the streamer gets 5-percent, and presumably the rest goes to Twitch. Many of our streamers want to make a living doing what they love. To help them, we’re enabling game developers to sell game content at the exact time and place their communities are gathered to watch, which in turn lets streamers earn money from games sold on their channels. Viewers who buy games from Twitch get rewards in the form of Twitch Crates. The Crates contains randomly-generated rewards such as chat badges, emotes, or Twitch Bits. That’s not all: Twitch-bought games will be available to play via the Twitch launcher, which Twitch is already using to give away its Prime benefits. By having its own game portal, Twitch will be competing directly with the likes of Steam and GOG. The Twitch announcement only mentions partnered streamers in relation to Games Commerce. It’s possible that this change will only be available to partnered streamers, and thus a small fraction of Twitch streamers as a whole. Twitch Games Commerce will be available worldwide starting Spring 2017. At first prices will only be in US currency, but other currencies will be supported later. Game developers participating include TellTale Games, Ubisoft, Hi-Rez Studios, and Digital Extremes.